As of tomorrow, the 2011-12 school year will officially be underway. 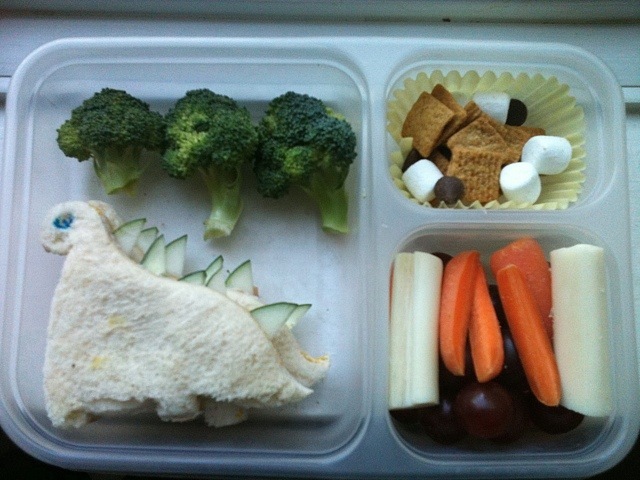 And so will be my goal of making bento-style lunches for all four of my children the majority of the school year. Now, I’m not a creature of habit. Routines give me anxiety. I like variety. And so I will probably not be in the kitchen, dutifully making bento lunches every single day. Some days the kids will buy lunch. Some days Em will be at her mother’s house. Some days I’ll let the kids do it. Whenever I set out to do something – and this is my 30-year-old wisdom speaking – I ask myself what I’m hoping to accomplish. In packing lunches for my kids I hope to give them healthier meals, which I hope will help, encourage and teach them to make healthier choices on their own. I want to cut down on the processed food they eat and ensure they get organic, cage-free, grass-fed, local, in-season foods whenever possible. Also? Bentos are just so stinkin’ CUTE and who doesn’t love a cute lunch?! Tomorrow school begins so I have been preparing for it all weekend. This afternoon I decided to go ahead and make lunches; mornings are not really the best time to work on them and when I can, I like to work ahead. On the Monday lunch menu was sandwiches, per the kids’ requests. 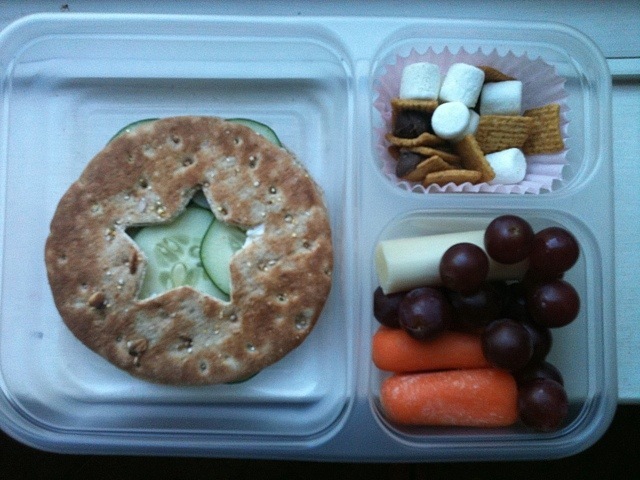 Above, Jaiden (fourth grade) will be taking cream cheese and cucumbers on a multigrain sandwich flat, string cheese, baby carrots, grapes and a s’mores snack mix I made using organic honey grahams cereal, mini marshmallows and chocolate chips. As I went along I got a little more creative with it. Jaylen (second grade) and Emma (kindergarten) have the same sides as Jaiden, but different sandwiches. Jaylen has a dinosaur made from a smoked turkey and sharp cheddar sandwich on white bread; its eyes are made with food coloring and the … pointy things, can we call them dinosaur paraphernalia?, are made from cucumbers. 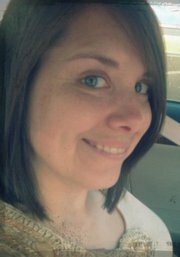 Emma is tired of PB&J, so she also has smoked turkey and sharp cheddar, but on a whitewheat sandwich flat. 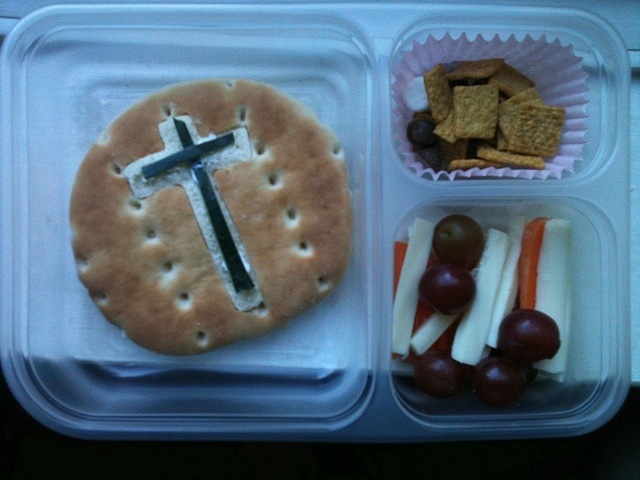 I cut a cross from her bread, flipped it over and placed it back in the hole; I also made a cross from cucumber peels and adhered it with cream cheese. With my kindergartners on a staggered schedule this week (and Emma going back to her mother’s house), this will be my only Emma lunch until next Monday. Jenna will have lunches twice this week, but not for a few days. I need to figure out something really special for her first day. She helped supervise while I made lunches for the other three, and even decorated their lunchbox notes with heart stickers, but was really upset when I told her I wasn’t making one for her. Pobrecita! Only a couple more days. Looking around at bento stuff lately, I cannot wait to buy picks and little sauce cups. We’re using the Ziploc divided containers (bought some today with purple lids – perfect!) for right now, but I also want to buy some that will give us a little more length for the days when I want to send fruit skewers, though I suppose shorter stirrers (from the cocktail section of Walmart, for instance) will suffice. My husband was impressed with the baking cups used as containers. “I would have never thought of that,” he said. Yeah, me neither. Thank you, oh Internets, for that. I, too, have decided to make bento lunches for my son, who is entering kindergarten this year. Yours are so cute! Good luck in your “foodie” endeavor! Nice spikes on the dino!